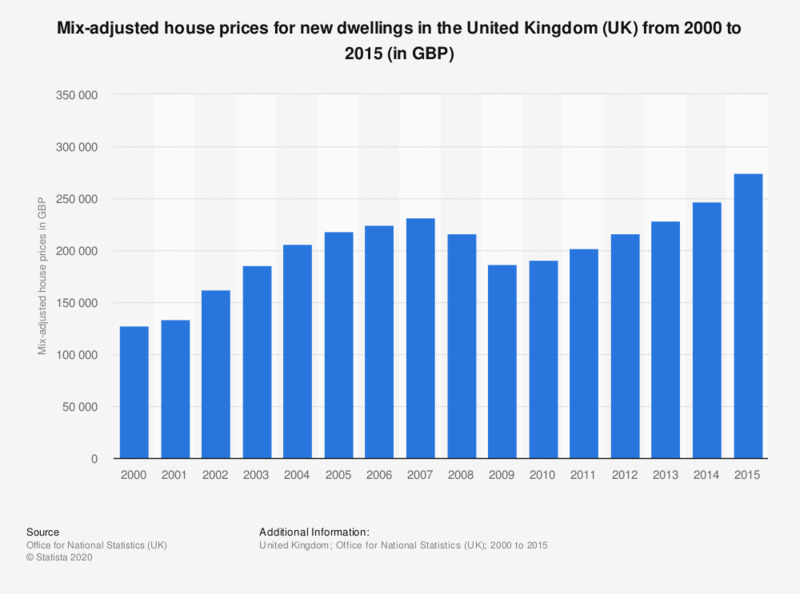 This statistic shows the mix-adjusted house prices for new dwellings in the United Kingdom (UK) from 2000 to 2015. Since 2000, the UK house prices for new dwellings have increased. In 2013, it was found that the mix-adjusted house prices for new dwellings reached 229 thousand British pounds. The weights used in the mix-adjustment process are changed each year. This means that prices should not be compared between different years, but can be compared within the year.